The sound post is a small cylindrical spruce stick wedged between the belly and back of the instrument, like a hidden pillar between floor and roof. In violin making one also calls this little piece of wood the soul (anima in Italian). The reason for this is that the sound post plays a considerable role in producing the sound that the violin maker can get out of the instrument. at the bottom of the violin. I played the violin in school from 4th grade through 12th. But although I dearly love music, the violin was my Dad’s choice, not mine. I was never really a pro, and I did not like the sounds I made. The violin got used very little after high school and put away for good after I got married. I may have got it out three or four times in forty years. I dabbled with the piano a little, wrote songs for my family that I recorded by (painfully) typing out one note at a time on the computer. But the violin never entered my thoughts. Then, with most of the kids gone and no one here to play guitar, piano, etc. but me, (and I can’t!) I fell into such a desert of music-less existence that it brought me to the unthinkable: the violin. So, last spring I took the violin that my Dad had proudly brought home when I was nine and had it checked out. Hummmm. Seems like he had made a pretty good purchase after all. Seems like it just needed a new (list of a lot of things for a lot of money). But they said it was a good violin and that it was worth it. I paid the price. Then I brought it home, full of trepidation. Oh. My. Gosh. For the first time in all my memory, I liked the sound I heard. It was not that I was such a terrible player after all (although, frankly, I am still pretty much a beginner!) it was that the “sound post” in the violin was inadequate, positioned incorrectly, and needed to be replaced with a new one. It changed the tone, the sound, the vibration, the openness, the everything of my violin. It finally had a voice. Sometimes, I think life is like that: we make an effort and we never really see much of an effect. Then, a new piece falls into place and everything is different. Our efforts were not in vain. Our skills may be greater than we supposed. Perhaps we were growing all that time and we did not even know it. Perhaps, (just perhaps!) we really are where and who we need to be. 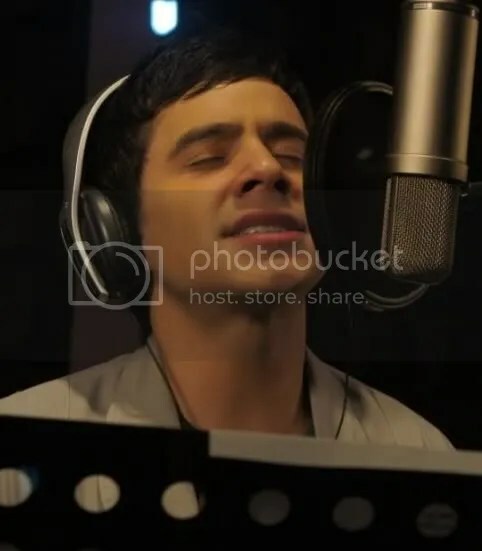 I think this is one reason we like listening to DA: When he sings, a different vibration stirs within us, giving us music that we think is his… but really, it is just another sweet connection to our own “sound post”, and reminds us of the true music that lies deep within us. We hear a different “tone”, a new yet somehow familiar “sound”, an “openness”, that is both compelling and vulnerable: We hear a voice. DA got his own, dear, vocal chords to wrap around like an embrace, but it is his own “sound post”, his own true self, that brings life to the music we hear, and joy to our hearts. 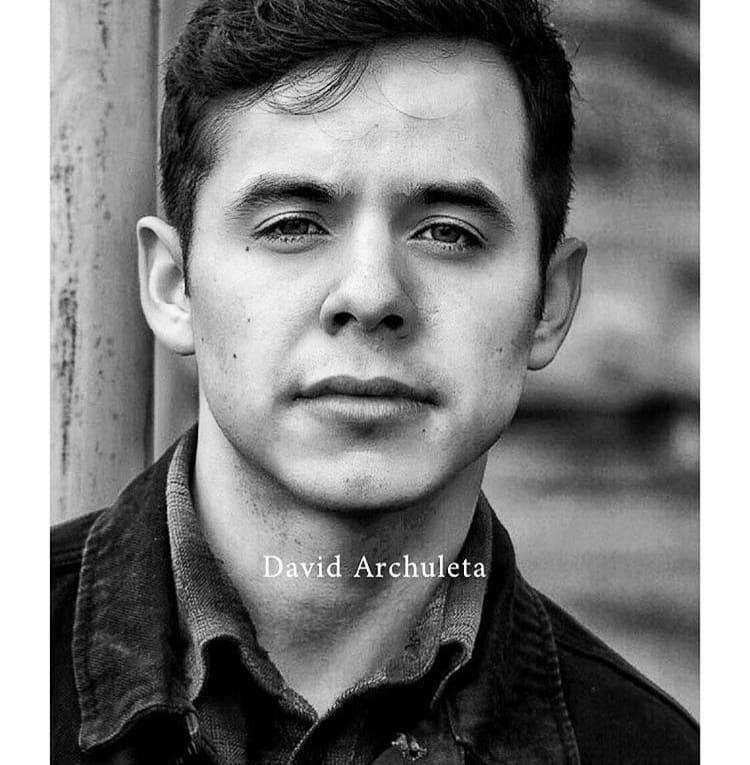 This entry was posted on Thursday, January 9, 2014 at 1:09 AM	and is filed under @DavidArchie, Art, Balance, David Archuleta, The Voice. 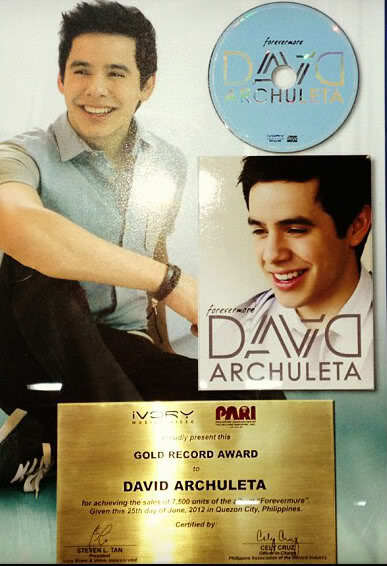 Tagged: #DA2014, Anima, David Archuleta, Soul, the Violin. You can follow any responses to this entry through the RSS 2.0 feed. You can leave a response, or trackback from your own site. bluesky4home…love your little story. I agree with “I think this is one reason we like listening to DA: When he sings, a different vibration stirs within us, giving us music that we think is his… but really, it is just another sweet connection to our own “sound post”, and reminds us of the true music that lies deep within us. We hear a different “tone”, a new yet somehow familiar “sound”, an “openness”, that is both compelling and vulnerable: We hear a voice. Bluesky is so right! As the saying goes….”You hit the nail on the head”…David’s voice is exactly like a violin, when he sings I feel as though I’m in another world. He truly has a gift that only God could give him. Can’t wait to see him once again. 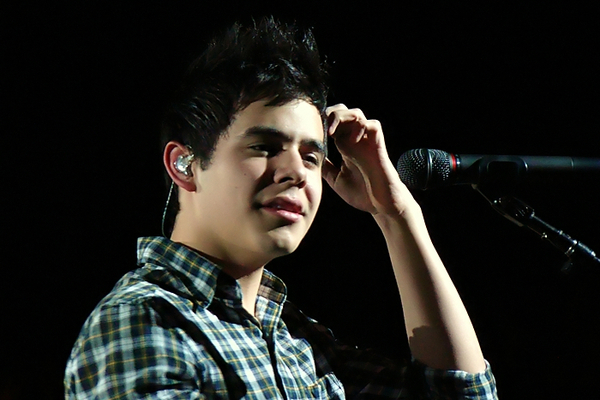 Your story about the sound post, mentioning the re-positioning, and then mentioning David’s vocal chords. Yes, perhaps things happen for a reason and in their own time. Maybe the vocal paralysis was meant to be so that it would re-position David’s vocal chord, his “sound post,” so that it would result in his ability to create such beautiful sound. So often I listen to his music, particularly those last songs from Chile, and wonder “how in the world he can make his voice do that?” His voice has a unique quality, a unique beauty and sensitivity, that is like none other I have ever heard. It seems that most of us that are here have this connection with music or sound in various forms. Your start with the violin comes full circle. I’ve always been sensitive to the “strings”, how some can make them cry and in turn make us feel. 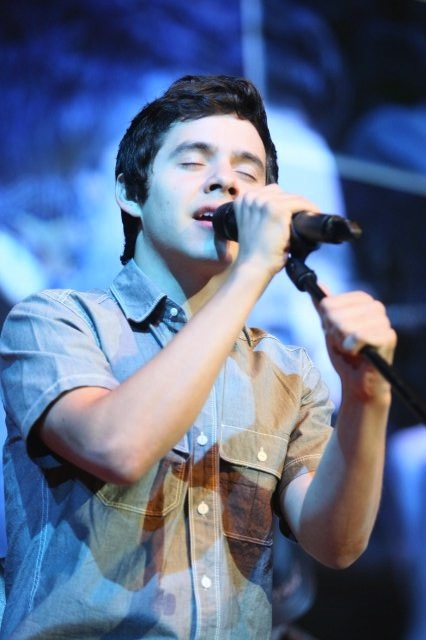 That “feeling” is same exact way I’ve reacted to David’s voice since the moment he came into my live. It doesn’t matter how many times I listen to the same song, same reaction every time. It will be interesting to see how many of us are making a similar journey. The sound post, I not only love the term but how you related it to David and the making of his sound by vocal paralysis, incredible. Thank you, Bluesky, for expressing that deep and loving feeling that we all get from music. Especially David’s at this time. I can relate to your article in so many ways. It’s not just the voice that brings the beautiful music but the vessel that carries it to us. We are very fortunate. 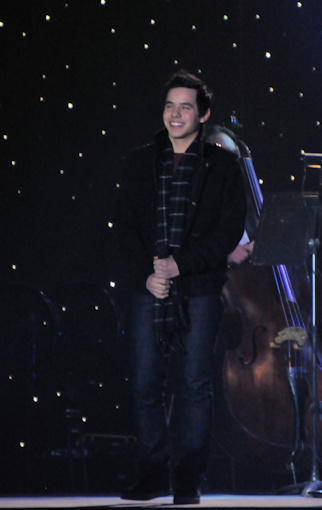 This is a call back to the time when David stopped singing at age 13. 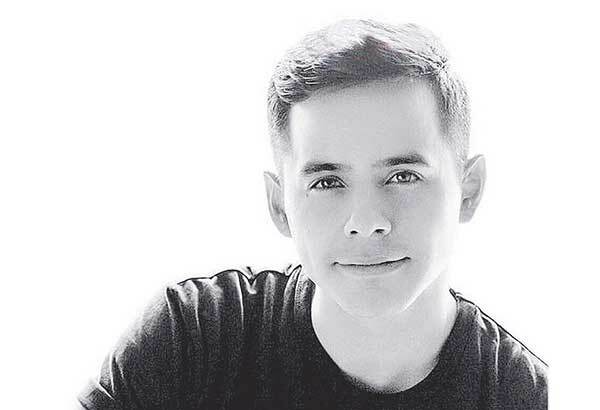 It’s possible that there was a force greater than him at work who was giving David time to grow in other ways before he took on a singing career. 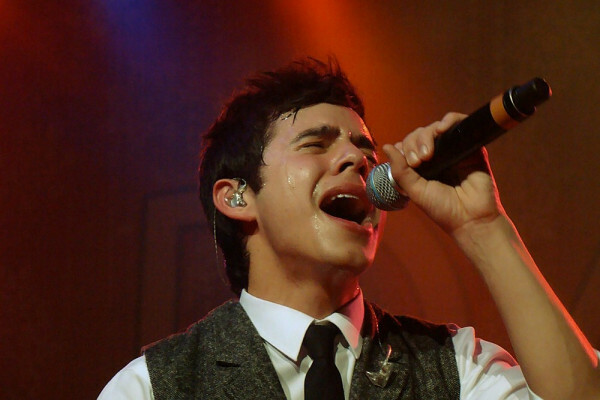 This was the time when he worked with Dean Kaelin to regain his vocal strength. 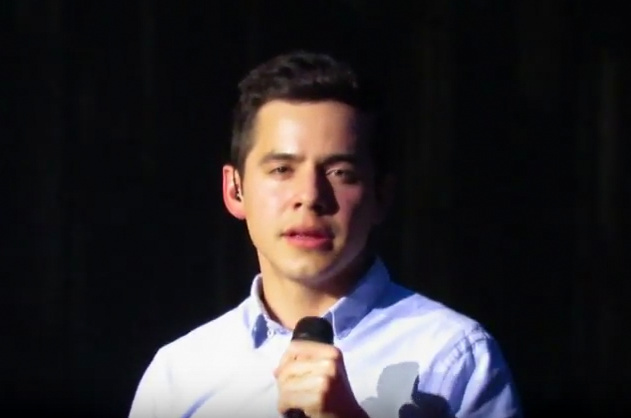 In doing the physical work of vocal exercises, David also learned techniques and skills that would serve him so well today. Vocal paralysis was the proverbial blessing in disguise. Bluesky, both you and David learned this valuable lesson. Madeline Alvarez: I am glad you like violins! One of my moms favorite singers trained his voice to sound like a violin: John…. something (I will remember later!). He was wonderful. But it is the soul DA brings that resonates with us. I hear you. Djafan: Ahhh. I hope that someday I can make the violin sound the way I “hear” music in my head. At least now I have the chance to try. That is such a blessing. I find it so interesting that listening to music (no matter how much I love to do THAT!) has become not enough these last few years. It has to be vibrating through me, in the walls, the floor, alive and real and changing every moment. Abrra: yes, this is what I thought. And I take courage from his courage. I am sure it is not the last “trial” that he will have, but we will support him, as he has supported us by sharing his wonderful gift. The courage he showed then, not knowing what would happen – that I admire so much. And in one so young at the time. Suzy-Q: Such a cute vessel, too! Bluesky, I can’t even begin to thank you enough for these perfectly, beautiful thoughts. So, just ‘Thank You’. I’m having a hard time wrapping my head around the fact that David will be home in less that 3 months, and we will be able to start, once again, hearing from him. We’ve been so blessed to be able to somewhat keep in touch with him, but it will just be so different to know that he is ‘home’. The growth that has happened to him, physically, spiritually, and vocally, will be so heart-wrenching to witness. It almost frightens me. It has been a tough 2 year stretch with so little news about David. I do read missionary blogs by so many that have come into contact with him along the way. Without getting too specific, I will say that over all he is admired and looked up to as a role model. 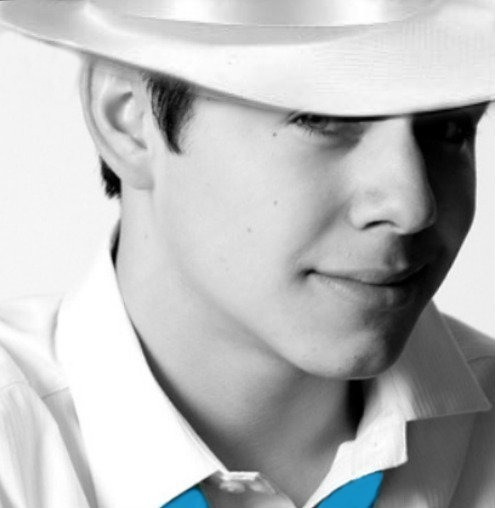 His wonderful character has impressed so many, even before they heard him use his gift of voice. I am certain that David will be just as missed in Chile as he is in the USA. Wherever it is that David calls home when he returns, I am certain a piece of his heart will remain with his friends in Chile. How wonderful that you decided to give new life to that violin. (I didn’t know about the soundpost in the violin,but now I do.) I love how you relate this to David in such a beautiful way. 4. DJA,I want to insert your words here again,for you said EXACTLY what I feel in your comment!! “I’ve always been sensitive to the “strings”, how some can make them cry and in turn make us feel. 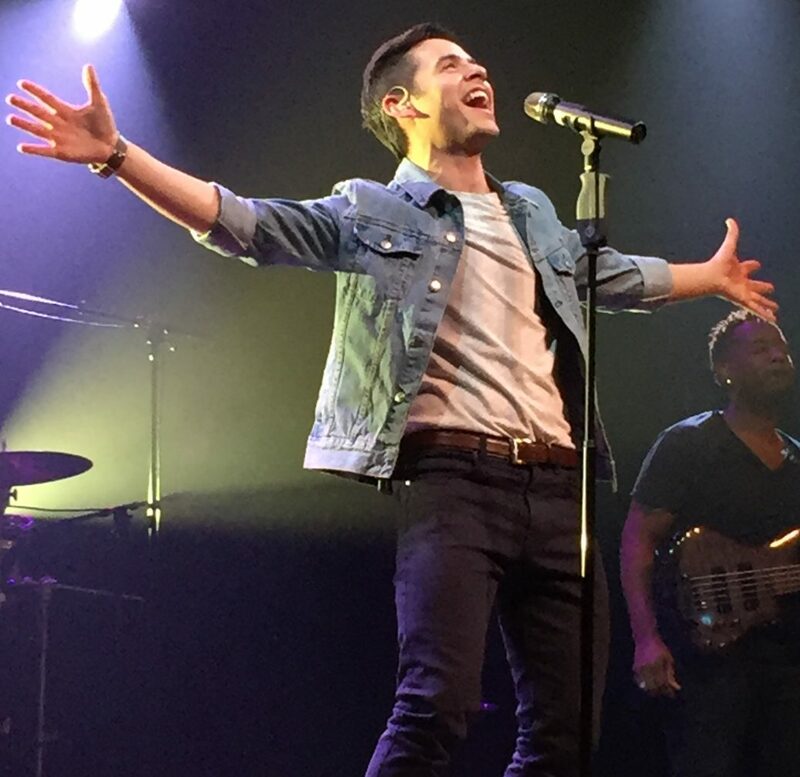 That “feeling” is same exact way I’ve reacted to David’s voice since the moment he came into my live. It doesn’t matter how many times I listen to the same song, same reaction every time.” YES! Incredible how David can achieve that emotion,that cry,and that beauty with his own physical instrument, in the way that the finely tuned string instrument,with it’s ‘soundpost’ does. There are many times when his voice sounds like part of the string section of the orchestra! This is so beautiful. I love how you write. Thank you for your warm and most meaningful article. I was in chorus in school but never learned to play a musical instrument. 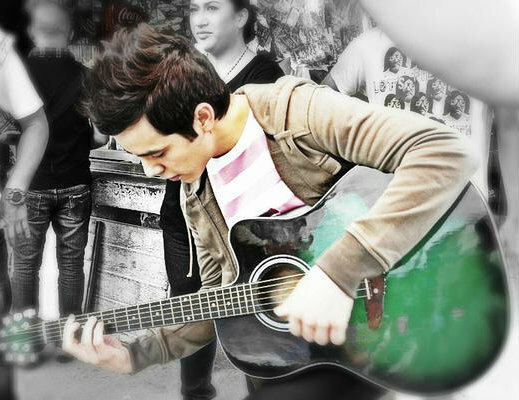 Who knew that I’d marry a guy who teaches and can play ALL musical instruments! Although he specializes in woodwinds and brass, I picked his brains and he said the soundpost is the soul of the violin and that moving it even slightly makes a big difference in the quality of the sound you can get from the instrument. When David sings, his sound post speaks to our sound post. That’s why the connection has always been so strong, I suppose. I'm with you. I've always had a passion for the sound of violins in an orchestra. It's almost as if they are crying. I’ve been given a piano, a small one with a full size keyboard. And even though there really isn’t any room in my small home I’m trying to make some because I took piano lessons as a child and it’s calling me lol It’s a sign that I need to go back to my roots as they say. See how that goes. Abrra, “Wherever it is that David calls home when he returns, I am certain a piece of his heart will remain with his friends in Chile.” I’m sure of this as I’m sure he will someday go back. Sky, We are going to be a crying mess at that first sound of him speaking to us. I was watching some interviews and he really believes and feels he has a viable relationship with us. I watched some of his vlogs and he speaks to us as if we are friends, it’s no wonder why we feel like we know him, it’s all his fault lol. And sorry for all my typos and grammar errors I see as I read back lol. Bluesky, it is always refreshing to read about the descriptions of how music is developed when it pertains to David. We enjoy every minute of conversation. 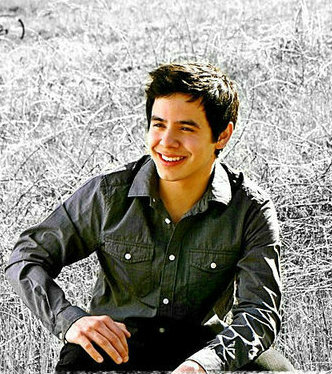 How great would it be if David got the chance to perform for his mission friends before he catches the plane out of Chile? I am not sure when he is considered officially not a missionary. Does he have to touch ground back in Utah and be discharged? I do not know. But I think it would give the missionaries and Chilean fans a great boost to have the chance to see him perform some approved songs such as we have witnessed. He is an exciting entertainer! That is a GREAT idea 🙂 And a lovely picture. You can nominate David for a Shorty Award! I love that you found the “voice” in your old violin after all these years because you had the instrument’s sound (soul) fine-tuned. 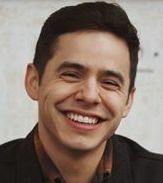 I think David’s vocal paralysis was part of the refiner’s fire that, in part, made him the humble, faithful, determined man he was to become and that informs his art with a purity and richness that reaches our soul’s. Incredibly beautiful what a violin can do in the right hands. Reminds me of the poem, “The Touch of the Master’s Hand” written in the 1920’s by Myra ‘Brooks’ Welch. And a tribute to the violin in honor of your piece. Federico Agostini performing my favorite of Vivaldi’s Four Seasons, “Winter.” I love the beauty of the rain on the canals of Venice in one scene and I adore the part that starts at 0.36. Agostini is a true master. As is David. How beautiful! Thanks so much for sharing such a moving poem/story and the wonderful video beneath it. I envy those who can create a thing of beauty out of nothing. They use heart, mind, and soul to create and breathe life into something that never was, and it becomes something you never forget. David must know how that feels. I am in Unplugged for a bit if any wish to join me. I am watching Idol and Favorites. Abrra, David is a missionary until he is released by his local religious leaders upon his return home (usually within 12-24 hours of getting home). However, there have been occasions when they are actually released by the mission president before they leave the mission field (that rarely happens). Thanks for that info Tawna. I can see where they would want to release the missionaries on home soil. They have a responsibility to bring them home safe. Many thanks to those who stopped by last night in chat. We watched AI7 and Concierto Navidad videos. It’s always a good time with friends and some anonymous viewers who like to lurk. Nothing I would like better than to have everyone join in the chat. 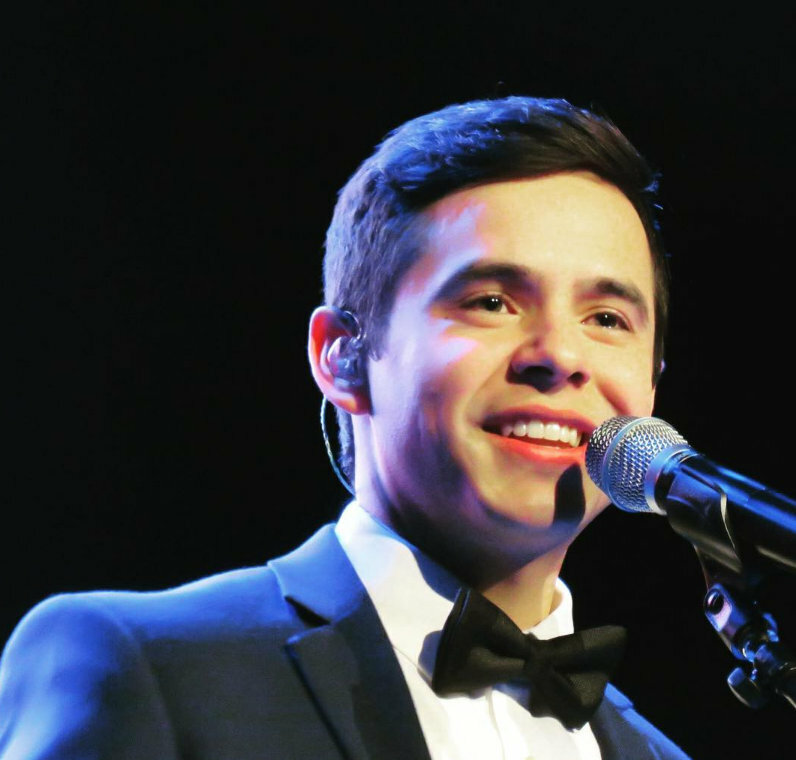 We shared some memories about the AI tour and talked about the future homecoming of David. Angelica, “Touch of the Master’s Hand” is so “in tune” with this article. So Beautiful. Violin is not my favorite instrument, but with a master playing, it can bring out some beautiful sounds. 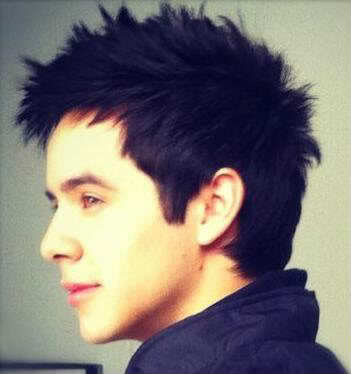 In my eyes, David is a master in everything he does; he is so exacting and impeccable! Skydancer – You. Are. Welcome. (((((hugs))))) to you! Bebereader – I have ‘heard’ you mention your hubby before. How great is that .. to have such music in your life and home! On a summers day, open the window very wide. I will listen. Djafan – You go girl!!! I am excited for you, let me know what happens, okay? SandyBeaches – Music…. hummmm. I see your point. Every bit of the making of music has interest where DA is concerned. Angelica – I agree with your comments about the vocal paralysis. Sometimes we wish to avoid the fire. But often God simply wants to customize our ‘shape’ to create a new sound… the sound He hears. I love what he has done with and for DA. MT – It is never out of “nothing” that music is made. ^_^ Although it can seem like magic, it is no more a miracle than the tree from the seed. Well, I guess it is a miracle after all. LOL I guess you have a point about the “nothing.” 🙂 But it does seem like magic to me that people can create something of such beauty that it moves you so deeply. I guess I was feeling kinda sappy after reading that poem and listening to the music, so my comment may have sounded a little strange. LOL And I don’t even usually like violin music, but that was so beautiful. ♥ As was said before, A Master’s Hand can make all the difference. That laughing GIF is adorable. He has such a genuine laugh it’s hard not to laugh with him. Angelica, Love your art work up top. And that poem is so good and the video is haunting. My mom always used to tell me when I was young about those that have been touched, marked, to really look with my heart and soul, and I’d be able to see. She was right, I see the touch in David. I had not thought of this until now. Abrra, I missed you guys in unplugged! 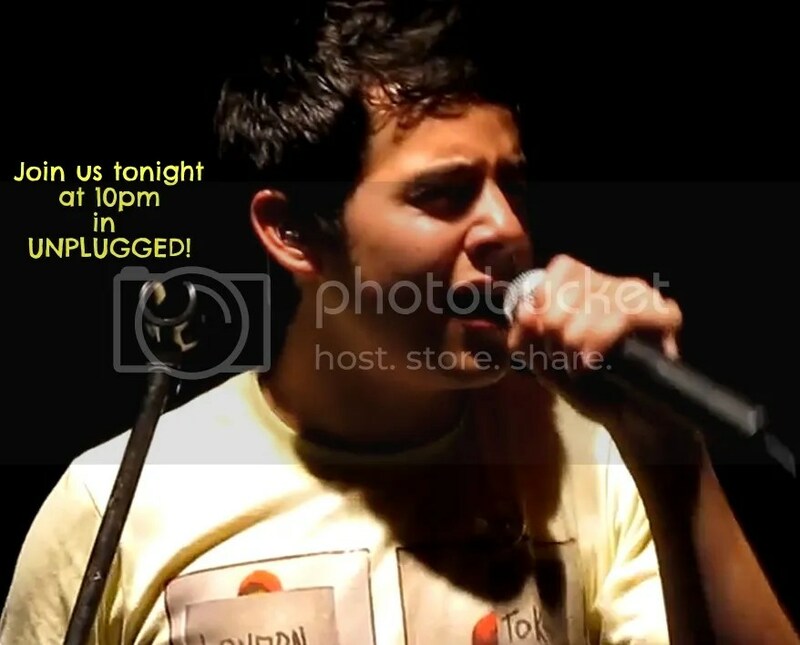 We are in Unplugged right now! Full house. I guess we are the place to be, haha. I am looking forward to the day when we meet. And that day will come! Get your house ready for that party! I have a theory why we feel we have to meet. It’s David. When his voice hits our sound posts, it reverberates from post to post and connects us one to the other. We feel this connection deep within our souls, causing us to go in search of each other. So it is that we gather in this virtual place while we wait for the day when we can finally meet to bask in the glory of the voice that has brought us together. Oh MY! It looks like someone else has taken a big step in their life. Jason Castro looks great after having his dreadlocks cut off by his sister. I absolutely LOVE your theory! I can’t believe it…..thought he would never get rid of those dreadlocks. Yay, for you Jason wow!! what a difference! What a big change for Jason. I never would have recognized him. I agree with you Tawna. There must be another “;look” for him. When this site first began I was not a fan of “The Voice” being chosen for the name. It was a name given to Frank Sinatra when I was young and I had always associated it with him. But now I cannot think of any better Bluesky’s title “We Hear a Voice” pretty much sums up how we are affected in all things by David. It doesn’t matter if that voice is singing, talking, humming, whistling, That voice has attached itself to our hearts in a permanent clasp. 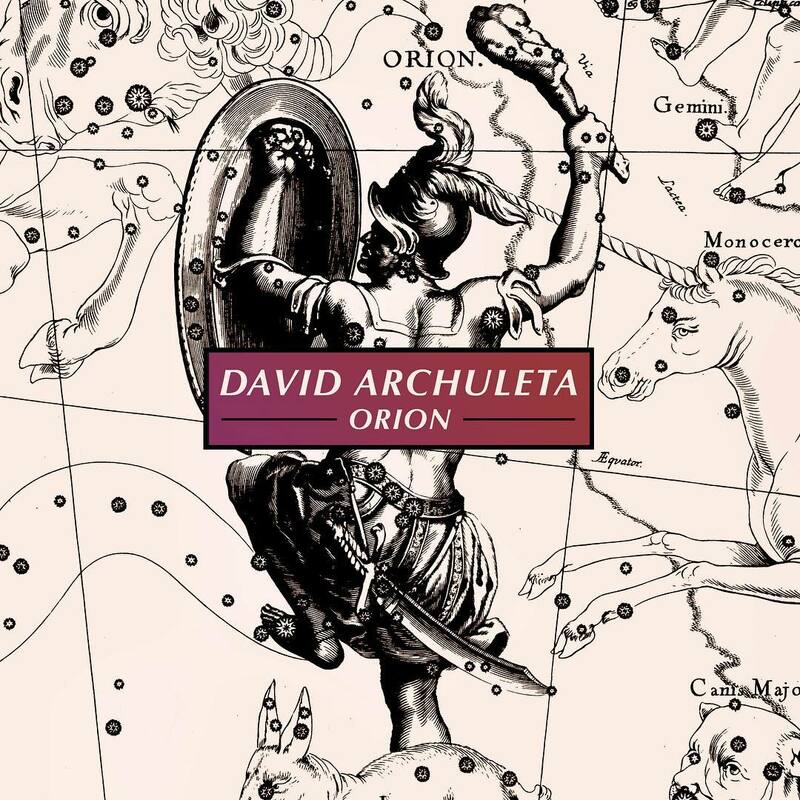 I still love Angelica”s picture of David with all the ribbons symbolically joining all of us. It stays on my wall and always makes me smile. I’m waiting for the time David returns and reels in all of those ribbons. Rooster, I am certain you would be a welcome guest at any party. Abrra, Jason sure looks different and Jackie is as cute as ever. Fenfan, I really like your theory, so much so that it must be repeated. 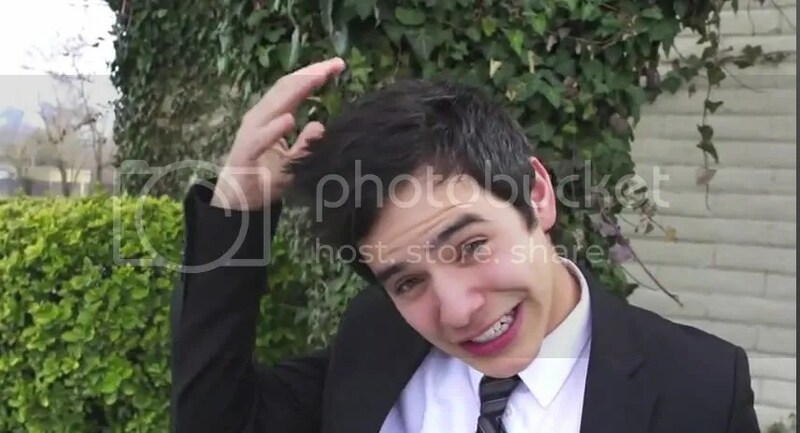 Sky, Interesting that so many of us see the “touch” when it comes to David and don’t understand how some don’t. But as long as we do we’re good lol. Dayzee, The Voice, I’ve heard that David isn’t so fond of this name for him because of his humble nature it was explained to me. 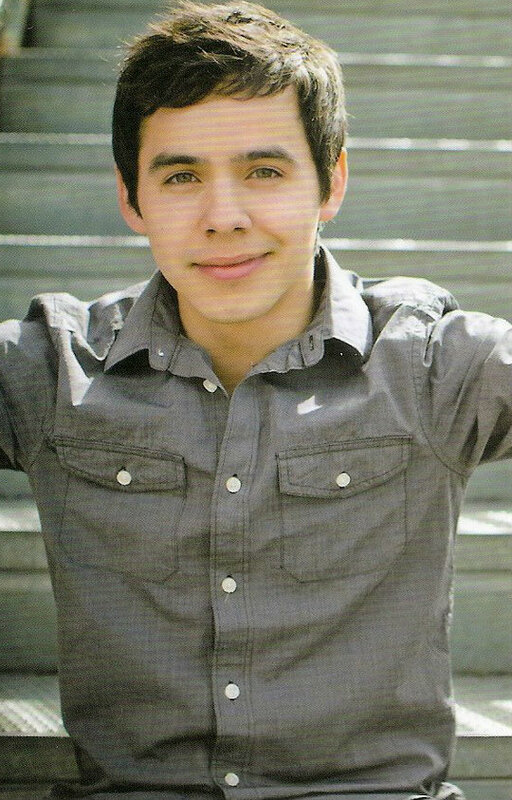 Years ago I had a keychain made that had a travelers prayer on one side and The Voice David Archuleta on the other. I handed it to him at a VIP. 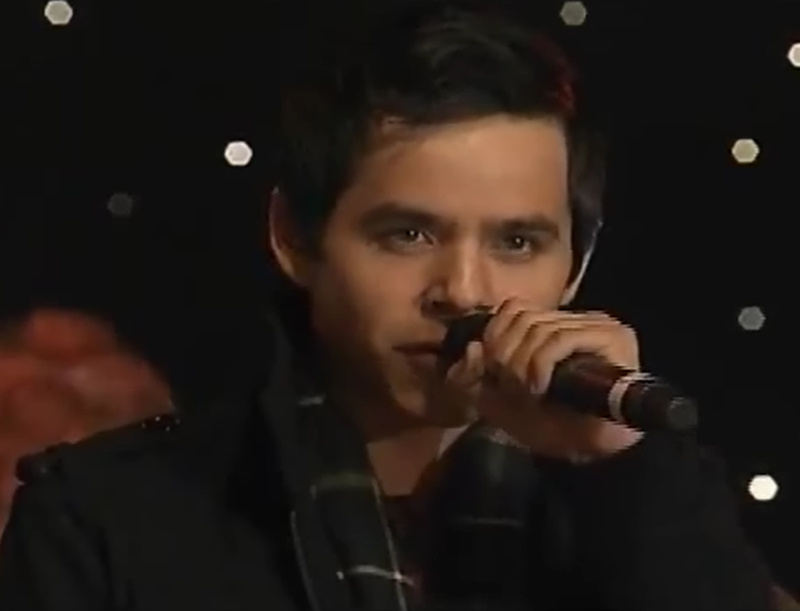 David looked at both sides as he profusely thanked me. Hopefully he’s come to accept that that is what he is to us. I love what you said here. Be there …rooster…it has always been the special time of our lives when we meet. There will be fans from other sites who we have met before I am guessing. performance…”Oh,…you are all here! 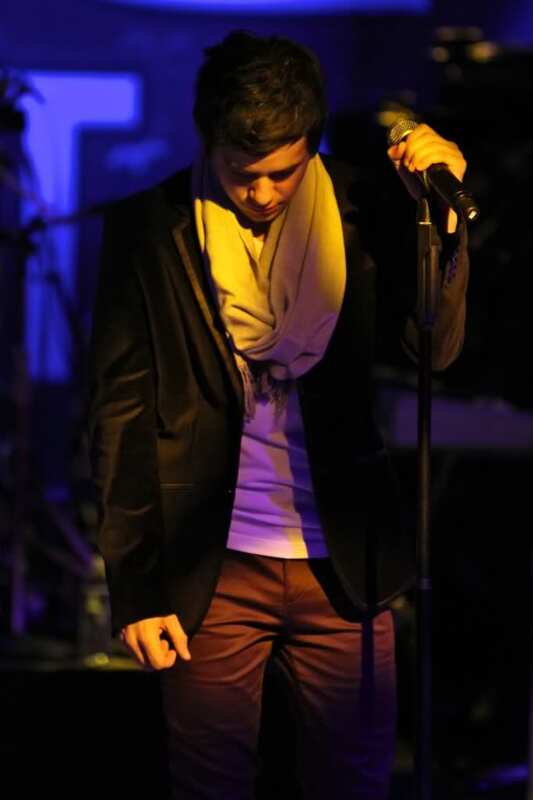 !”….As he looked down the line at people from “The Voice” and the “Snowangelz” and other fan sites. The audience was big and the usual ‘Zero Gravity’ loving crowd was scattered throughout. We left him a Christmas birthday gift that night. Now only time will tell!! Also, there is a moment in Be Still My Soul (BEGIN version), where I can't tell where is voice ends and the violin begins. Now I have to go listen again, as I can't remember exactly when that happens. Rooster – make sure you come to the party! We will be looking out for you. I really hope we meet one day. Sky, Tawna, Dja – High five! bluesky, a beautiful article. I love where you live. Did you see that Crystal Bowersox cut her dreads off too? She looks so different! I don’t think I would have recognized her if I hadn’t googled it and knew it was her. But I think she looks good. Oops, didn’t expect that big pic to show up. Sorry about that. 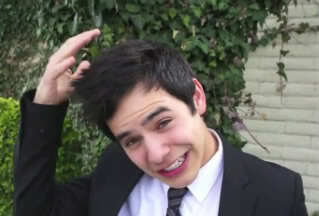 Was it you who mentioned one time when David left for his mission something called,EVENTFUL? Its a place where you can sign up to receive and request your favorite artists,and local events that come.. or you want to come, to your city. Anyway, just a tidbit to share. In my little town in north Texas,there were no other DEMANDS for David. when I first signed up,( but as of yesterday, the number has now reached this! YAY! 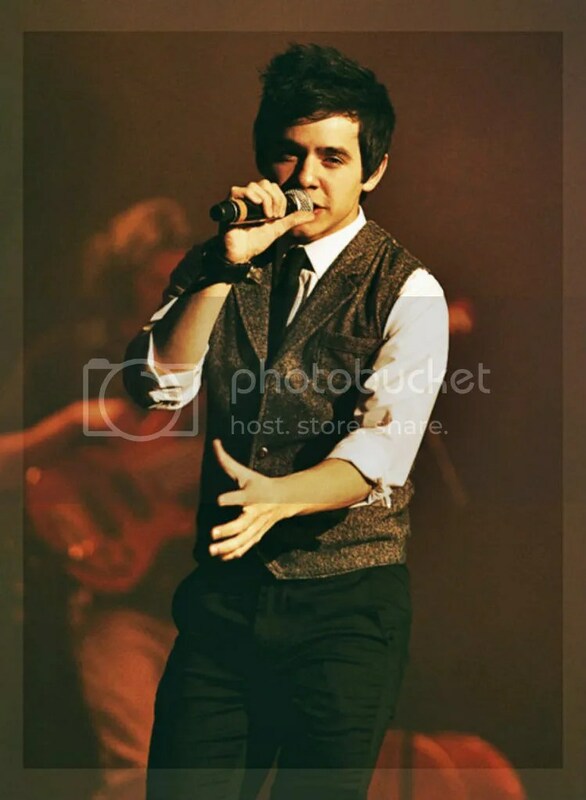 I have just been deleting the emails from Eventful because I know they aren’t announcing a David Archuleta concert. LOL Not yet anyway. But now that you mention the numbers, I’ll have to check it. When I signed up I was the only one, too. I’ll let you know if the numbers are climbing in my area. I hope so! I wonder if it’s possible that David’s team is up on the stats of how many are requesting an event in various locations from this type of site. Does anyone know if the site sends stats to the celebrities on their lists or how this works exactly? Even more heavyweights fell in this bracket as the Top 4 dust settled. 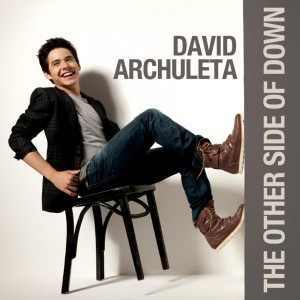 In the end, David Archuleta and One Direction as expected move on while newcomer Lorde and upset special One Republic continue their impressive runs. This bracket begins TODAY at 7 pm ET and will end 1/20/2014 at 11:59 pm ET. Only the Top 2 will move on and then the real fun begins! The Countdown and Countdown Mobile rules are still in effect except mobile has the full allotment of 100 per day/voting session. Yea! 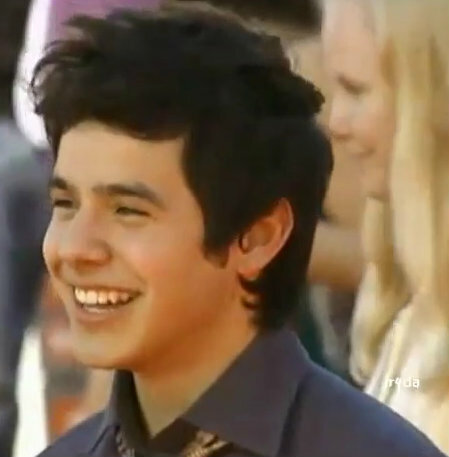 David #1!! I’ve been voting every day hoping for this! Don’t bother looking for David’s “Imagine” because it’s not on the list! Ryan, shame on you! Everyone knows that “Imagine” was one of the best Idol performances EVER!